Standard one inch mounting found on some jacks shown below, check your jack for the one inch mounting provision, if not there then you will need a jack adapter. Many jacks have a standard jack cup that is removable, check your jack for the removable cup and determine if you have the one inch hole to mount our load cell stud into. Here is a load cell with the stud fitted, it will interface into the jack ram to mount your load cell. Standard 3.5 jack adapters are $200 each and cover jack rams from 1.5 inches up to 2.75 inches in diameter. 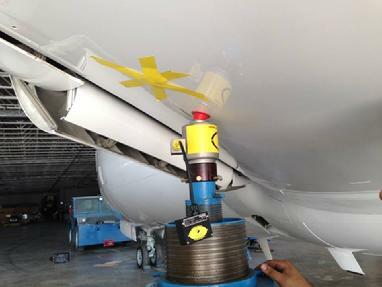 Shown here is a 737 "Unknown Jack" that is commonly found. They do not have the one inch mounting hole, but using our adapter, you can fit our load cells directly to the top of the jack as shown. We now have two pages for jack adapters, click the pictures below for the type you are interested in. 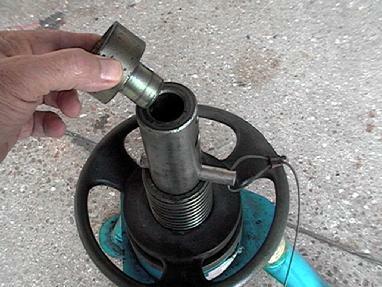 Standard jack adapters are available for all types of jacks. Simply determine which type and size of jack ram you have to determine which jack adapter size you will need. Click this picture to go to our Standard jack adapter page. 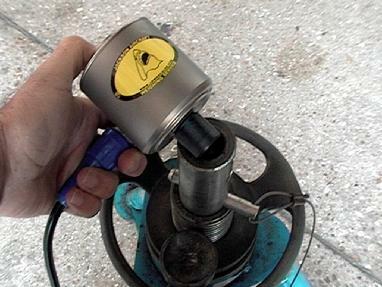 Helicopter application Tronair jack adapter. Special helicopter adapters are avialble for the Tronair jacks that have the removeable extension tube. Click this picture to go to the Tronair jack adapter page. 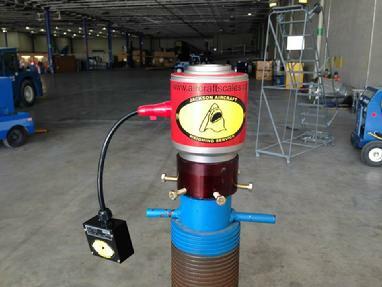 Click here to go to our standard aircraft jack adapter page. 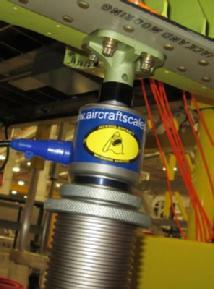 Click here to go to our Tronair helicoper jack adapters page. Our Tronair jack adapters make your weighing job quick and easy.